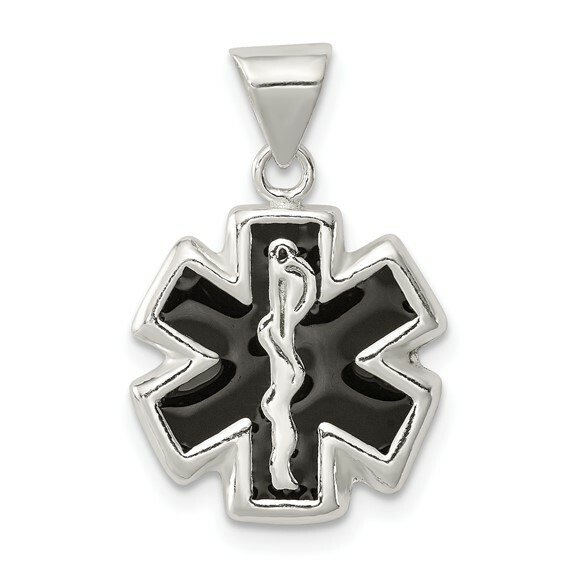 Sterling Silver Enameled Medical Charm. Weight: 1.75 grams. Measures 1/2 inch tall by 1/2 inch wide without bail. This item is smaller than a dime. All medical jewelry engravings are custom engraved on the back of the piece unless otherwise specified.